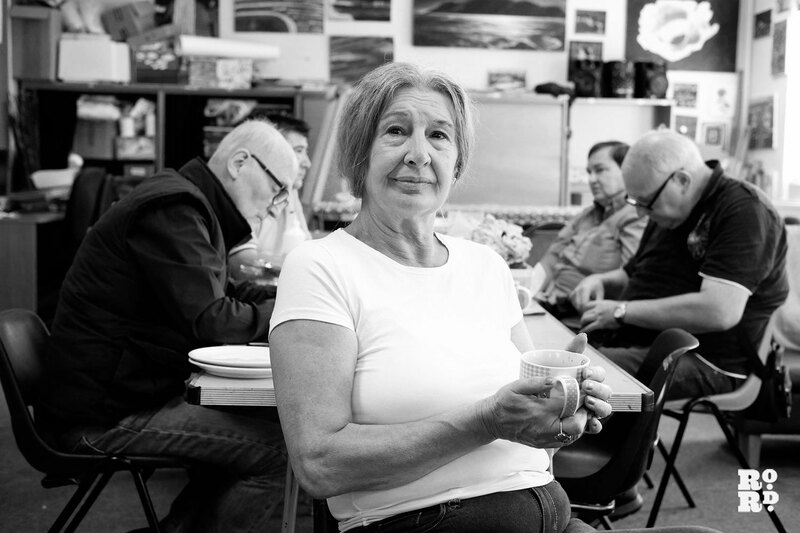 At one point there was as many as 33 cinemas in Tower Hamlets, but the majority of the small independents are gone now. It’s hard to believe but there were four cinemas in just Bow and Mile End at one point, all since closed. Luckily a few precious photographs of these picture houses still exit. 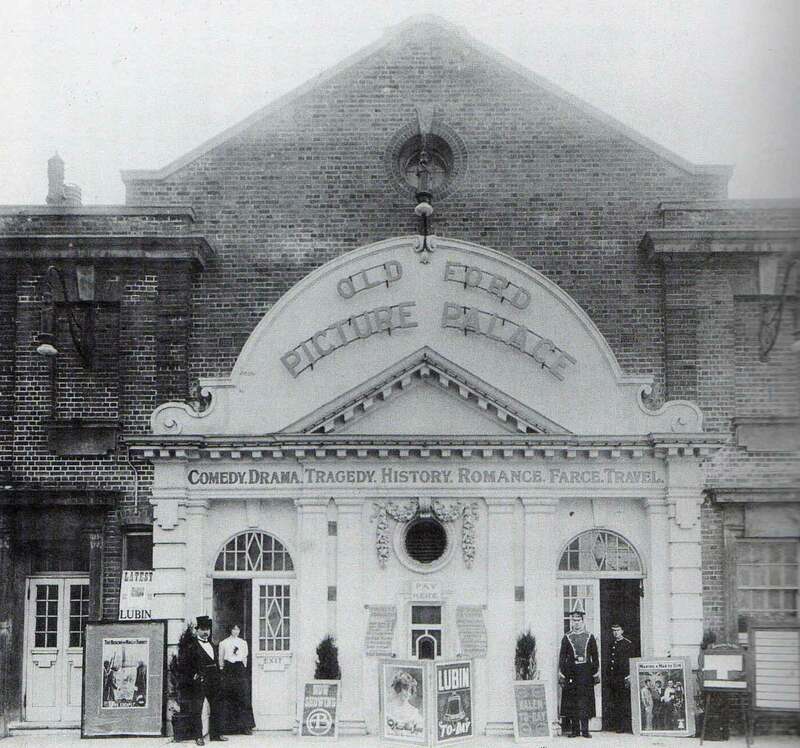 The Old Ford Picture Palace opened on 16th November 1910. In 1937, it was re-named the Ritz Cinema. After Cinemascope was installed in the mid-1950’s, the seating capacity was reduced to 440. Programming old films, the Ritz Cinema was closed on 16th June 1961, with the 1955 film ‘The Road to Denver’ starring John Payne. It was converted into a bingo club, but this was not to last long as the building was destroyed by a fire one month later on 8th July 1961. The remains were demolished and housing has since been built on the site. The iconic building was opened in 1848 as a pub that later turned into a musical hall. After a fire a few decades later, it turned into a theatre called Paragon Theatre of Varieties and had stars like Charlie Chaplin and Laurel & Hardy performing in it regularly. In 1912 it was finally opened as a cinema and in 1999, after 10 years shut, Odeon was rescued and re-opened again as Genesis. The Odeon Mile End opened in 1938. It was designed by Andrew Mather and featured a distinctive Odeon style tower. The auditorium was both interesting and attractive with large decorative painted floral panels on the side walls close to the proscenium. 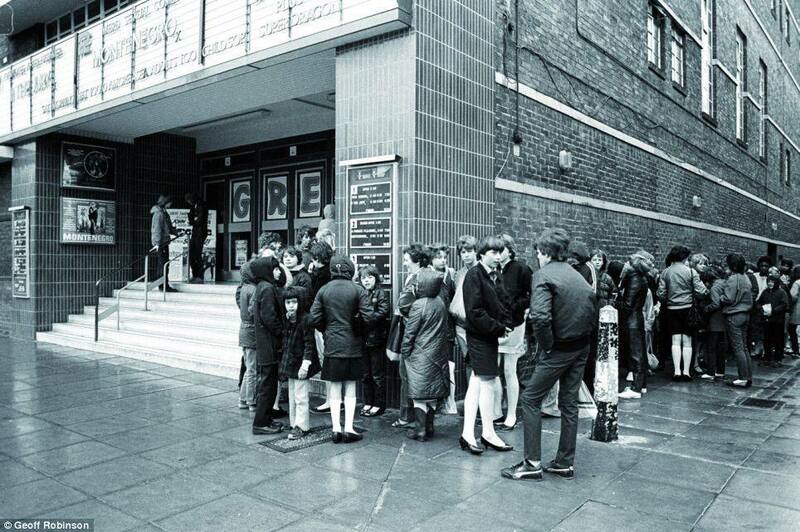 Despite extensively remodelled in 1968, as ticket sales fell, the cinema was eventually closed in June 1972. It reopened as the Sundown Venture in September 1972, but was closed once more in January 1973. It remained closed until 1975 when it reopened briefly as a cinema specialising in Bollywood films. However, eventually it eventually closed permanently in 1978 and sat empty until it was demolished in May 1984 to make way for an office and residential block. The Empire Picturedrome opened in 1912 and it was only a few decades ago that it fell into decline. The iconic white washed walls had only a few letters left when it closed in 1959. 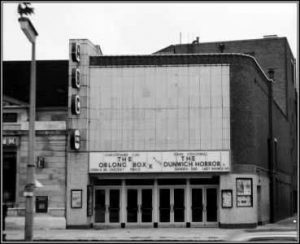 Does anyone remember their box office – the little window which opened directly to the street? This cinema was also called the Bug Hole. They screened out of season films that were not very popular. Today, there is nothing left of that old cinema. Originally on this site was the Three Cups public house. In 1855, they built the Bow Music Hall, then known as Marlow’s Music Hall. It was rebuilt in 1892 as Eastern Empire Theatre. In 1899 operated as the Palace Theatre from 1903 until 1917, then was briefly re-named Tivoli Theatre from 1917 until 1918. 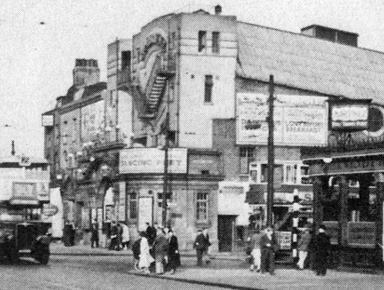 In 1923 it was rebuilt and renamed as the Bow Palace Cinema. Rebuilt again in 1935, it was reopened as the Regal Cinema. Closed by German bomb damage during World War II, it was repaired and re-opened in 1947 with Sally Gray in ‘They Made Me A Fugitive’ and ‘Big Business’. The Regal Cinema was closed on 11th January 1958. The building was demolished in 1960 and is currently a modern housing development. 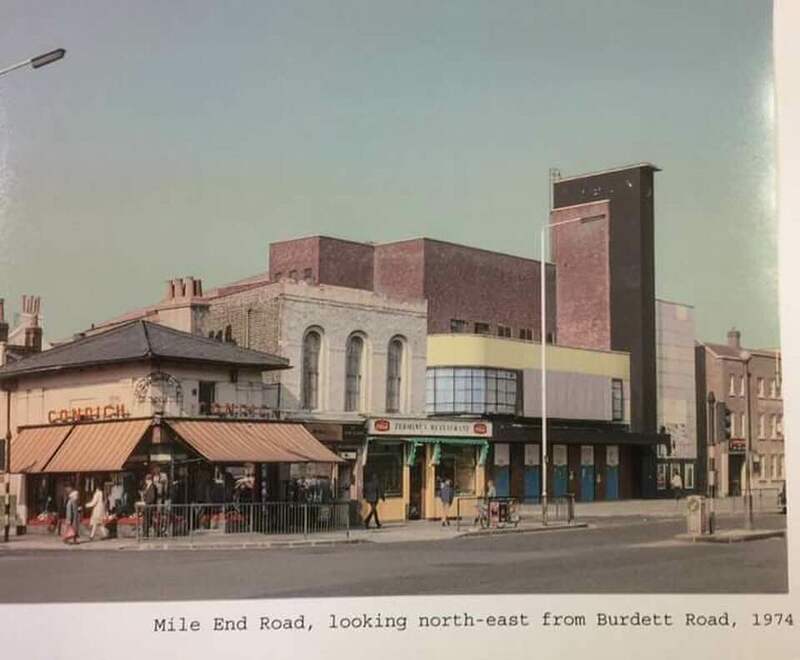 Located on the corner of Mile End Road and Burdett Road, the Electric Theatre was opened in 1910. It was designed by architects Saville & Martin and was operated by United Electric Theatres Ltd. 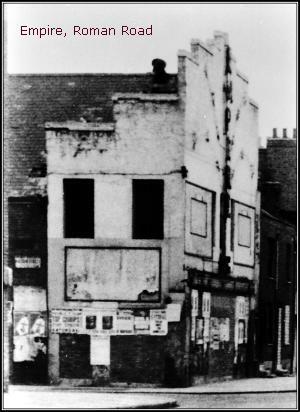 In 1918, it was re-named La Boheme Cinema, and had a banqueting suite and cafe attached in an adjoining building. By 1937, this had been converted into the adjacent dance hall/ballroom. The cinema was re-named Vogue Cinema in 1940. It was badly damaged by German bombs in 1942 and its ruins were eventually removed in a road widening scheme of Burdett Road. The former dance hall/ballroom remained untouched, and from the late-1970’s, through to the mid-1990’s operated as a gay disco named Benjys. It remains open today as a nightclub. It was opened by Queen Victoria on 14th May 1887. 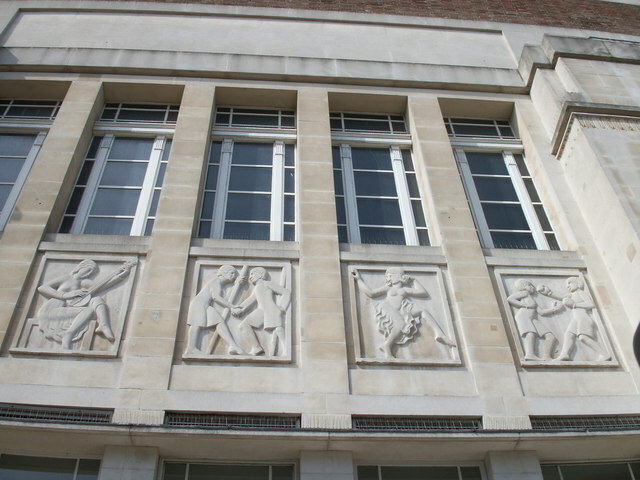 It burnt down in 1931, however the façade was retained and today forms the main frontage to the Queen Mary College of the University of London. 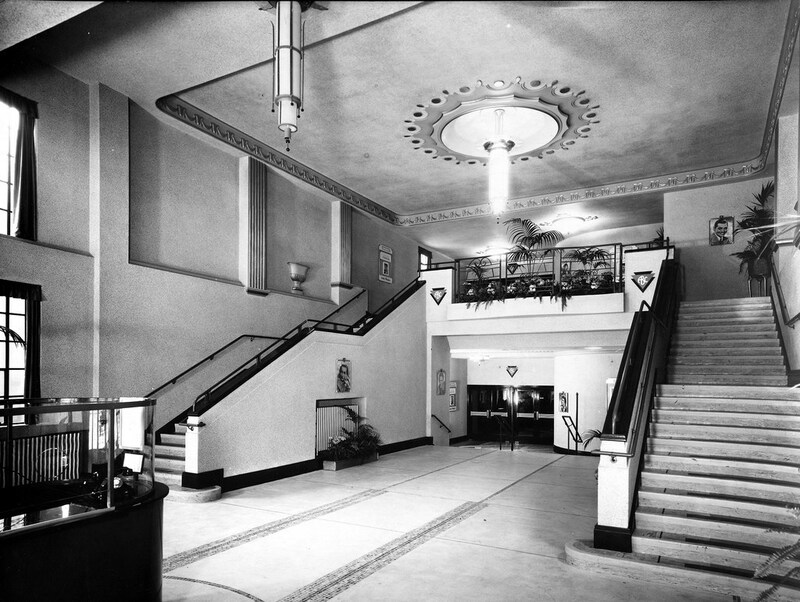 The interior decorations were designed in a lavish Art Deco style by noted cinema architect George Coles. The People’s Palace was closed in 1954, and was subsequently taken over by the adjacent university. It is now known as the Great Hall for the University, and serves a multifunction use, and is occasionally open to the public when concerts and special events are held. It was designated a Grade II Listed building by English Heritage in February 2009. If the Regal was demolished in 1960 this is clearly not a picture of it. 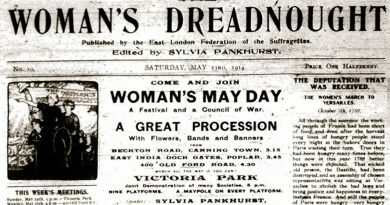 The date does not appear to be correct anyway as the films on the bill were not released until after that.